Find out which two-year colleges in Alabama have the highest salary potential for graduates. The far-southern state of Alabama is home to a total of 61 colleges and universities, including the well-known University of Alabama, whose notable graduates include To Kill a Mockingbird author Harper Lee; multi-term former Alabama Governor George Wallace; television personality Joe Scarborough; NFL Hall-of-Famers Joe Namath and Bart Starr; and Heisman Trophy winner and current NFL player Mark Ingram. Many graduates of Alabama colleges and universities go on to work in industries such as aerospace, education, healthcare, banking, and various heavy industries, including automobile manufacturing, mineral extraction, steel production and fabrication. 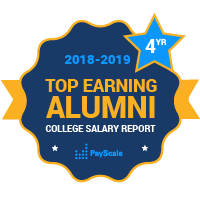 Graduates from Alabama colleges and universities often go on to work at several of Alabama’s top employers, including Redstone Arsenal, University of Alabama at Birmingham, Maxwell Air Force Base, State of Alabama, and the Mobile County Public School System.